We have posted this blog entry for a number of years now. It describes the "courses" and what your basics will be doing over the time in the Valley. The real activities in Jacks Valley start on Day 2 (Today). This is when they begin cycling through all of the activities and courses. We will describe the courses below. Some of the photos are from past years, since we are still out on the courses taking photos today. Mission: The Assault Course teaches hand-to-hand combat skills and rifle fighting techniques while allowing basic cadets to practice these elements in controlled scenarios and pugil-stick competitions. 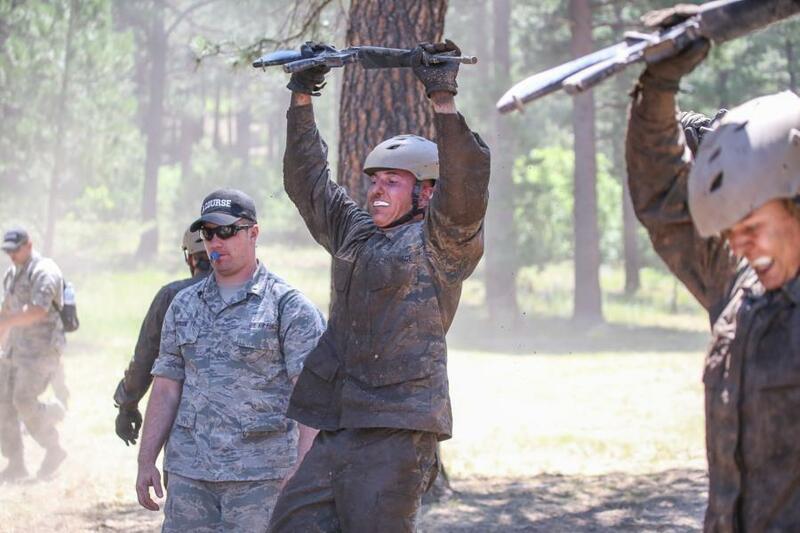 The second-half of the course requires basic cadets to demonstrate these skills by completing the pugil-stick competition and negotiating a course of 18 obstacles/stations and demonstrating hand-to-hand and rifle fighting techniques in a controlled, but mentally and physically challenging environment. The course is designed to assess basic cadets' mental and physical stamina and confidence. WebGuy Translation: You run around and hit stuff with your rifle. Then, for the pugil-stick competition, you get padded sticks and a helmet and you smack other basics. WebGuy Rating (Fun Level Scale 1 - 10) The Assault Course is Negative 50. Pugil-Stick Competition is 8 if you are landing blows, but Negative 8 if you are taking them. Mission: The course trains basic cadets on the nomenclature, assembly/disassembly, and safe operation of the Colt M-16A2 rifle. 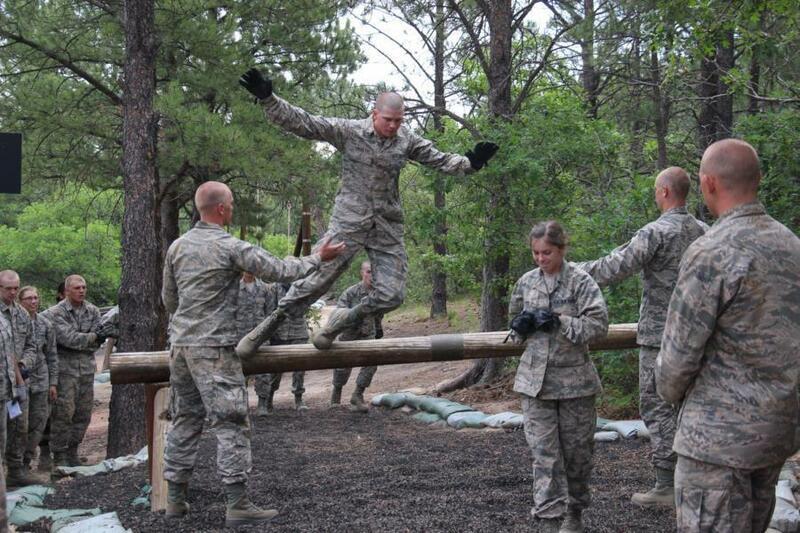 Basic cadets fire the Air Force Qualification Course (AFQC). 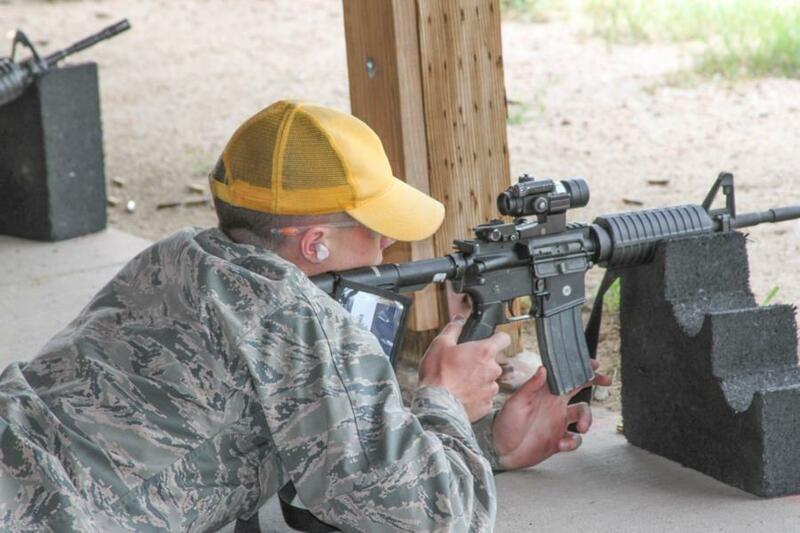 If basic cadets earn an expert rating for the M-16 AFQC, they will be authorized the wear of the USAF small arms expert ribbon. WebGuy Translation: You get to shoot stuff. WebGuy Rating (Fun Level Scale 1 - 10) CATM is 7. Mission: The Confidence Course develops and assesses basic cadets' self-confidence and physical capabilities by guiding them, as individuals and teams, through a selected group of 15 obstacles which vary in height and difficulty. The course requires all basic cadets to demonstrate physical dexterity, teamwork, and cohesion to achieve successful outcomes. WebGuy Translation: Climb around on high obstacles with classmates. 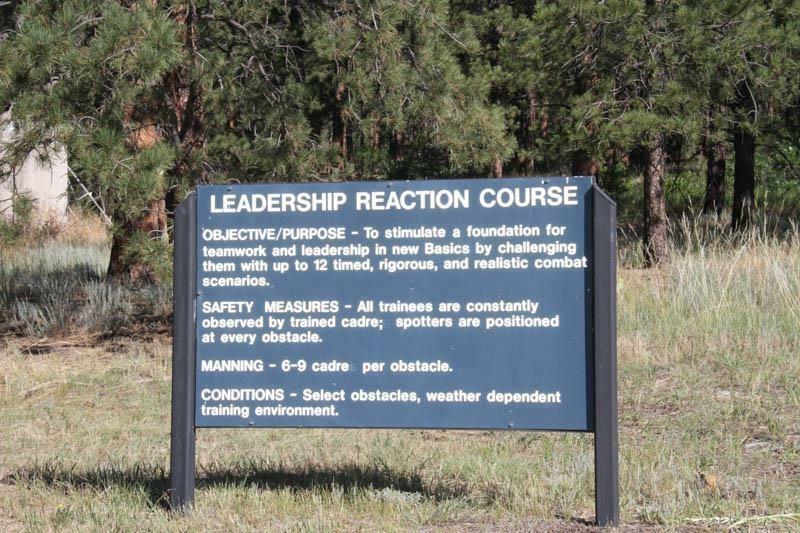 Mission: The Leadership Reaction Course (LRC) safely provides basic cadets experiences in functional leadership, effective followership, group and individual problem-solving, and group dynamics by working through six exercise scenarios. Assigned cadre provide critiques after scenario completion to enhance the learning experience. WebGuy Translation: Group Problem solving. 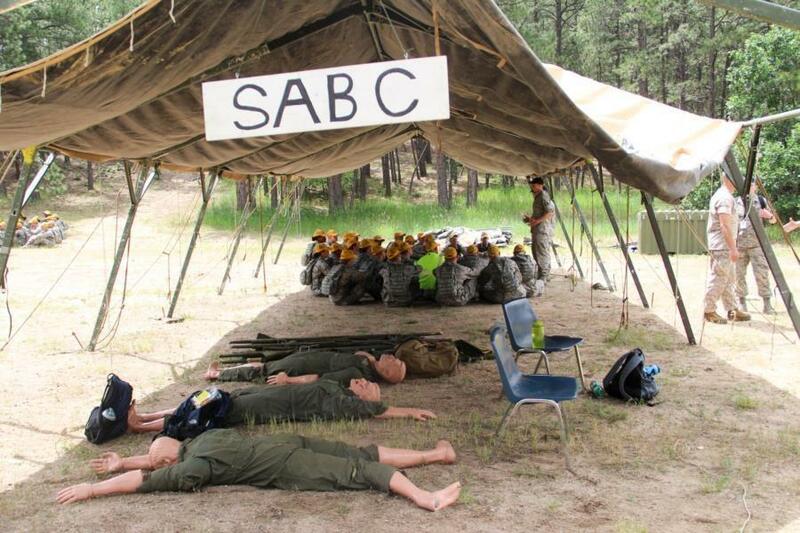 Mission: The Self-Aid and Buddy Care (SABC) Course train basic cadets on the principles of SABC so they can satisfactorily demonstrate injury recognition, response, treatment, and transportation in a variety of situations. The training culminates in a station-oriented exercise to test these skills in a field environment. WebGuy Translation: You learn all that icky First Aid stuff. Necessary, but not pleasant. 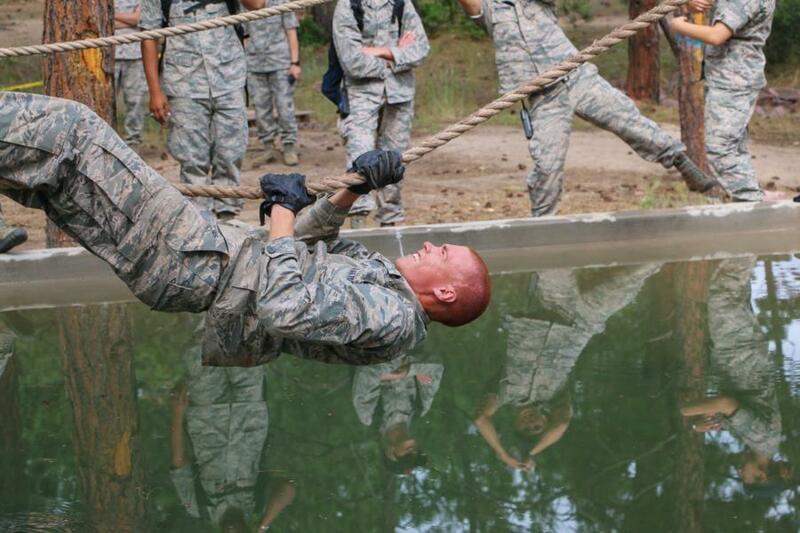 Mission: The Obstacle Course will teach and require basic cadets to negotiate 17 physically-challenging obstacles. It is designed to assess their physical fitness, agility, confidence and increase awareness of personal capabilities. The first time through the Obstacle Course is the orientation run. The second time through the Obstacle Course basic cadets are timed. WebGuy Translation: Climb, crawl, jump over and under obstacles. Try to never, never fall in the water. Think "Officer and a Gentleman" and war movies. 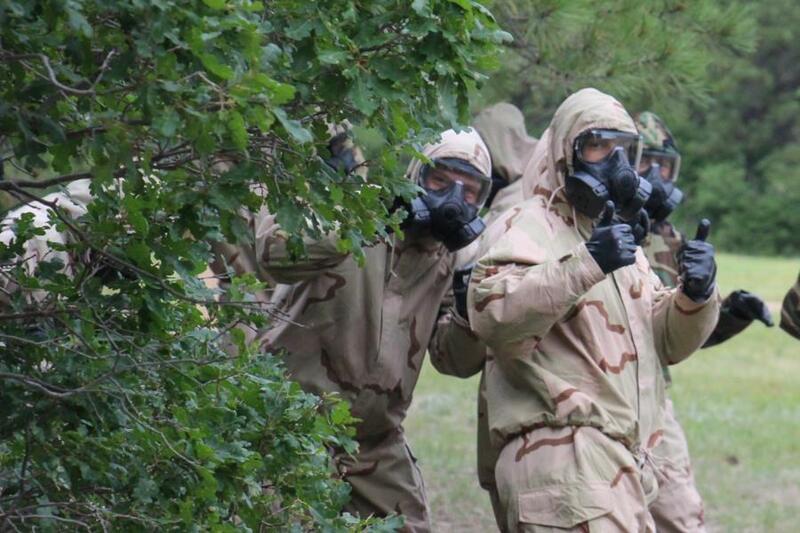 Mission: CBRNE will help prepare the Basics to face chemical warfare and know how to deal with various types of weaponry. WebGuy Translation: You get tear-gassed. Booooooo. The Basics will also do other activities such as Honor Lessons, Flight Drill, Weapon Drill, and PT. So there you have it. Also, a word about our Jacks Valley coverage. After much consideration we have focused our coverage this year on five of the Jacks Valley courses. CATM, Confidence, Obstacle, Assault, and CBRNE. Those courses offer the best photo opportunities. It also gives us the best chance to catch each basic in action.